Manage and browse your App.net feed with ease with Riposte. We also have a business app that allows you to access your Mac or PC remotely from your iPad, and a platformer that has you helping Burt Destruction and his buddy Bigfoot. 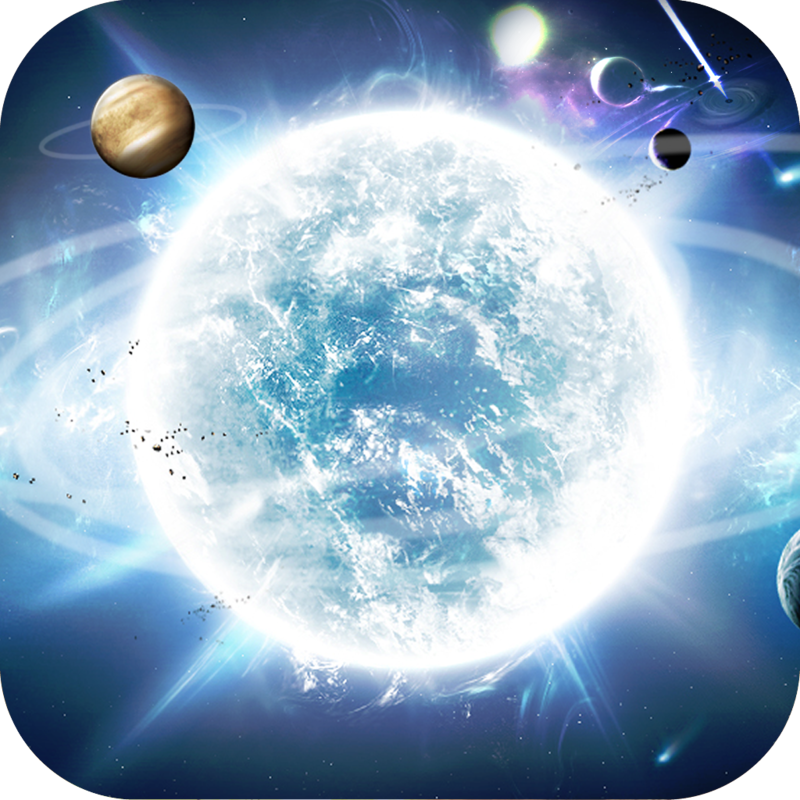 Tiny Solar ($0.99 → Free, 13.3 MB): Travel through space to try and grow the biggest galaxy in this unique casual game. You start off as a simple asteroid. You must try to expand your reach by absorbing other smaller space debris, which will allow you to create your own gravitational pull. Continue to absorb smaller debris until you can wipe out entire planets and conquer the universe. 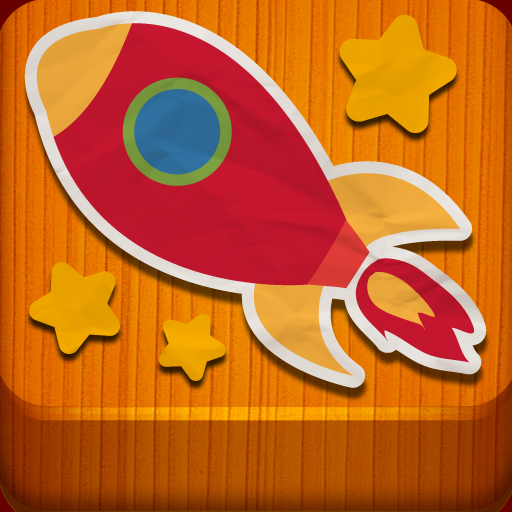 The game includes simple one-touch controls, 30 challenges, hidden extras to discover, and achievements and leaderboards via Game Center. Tiny Solar is available for free for a limited time. It has a 4-star rating with a total of 35 ratings. 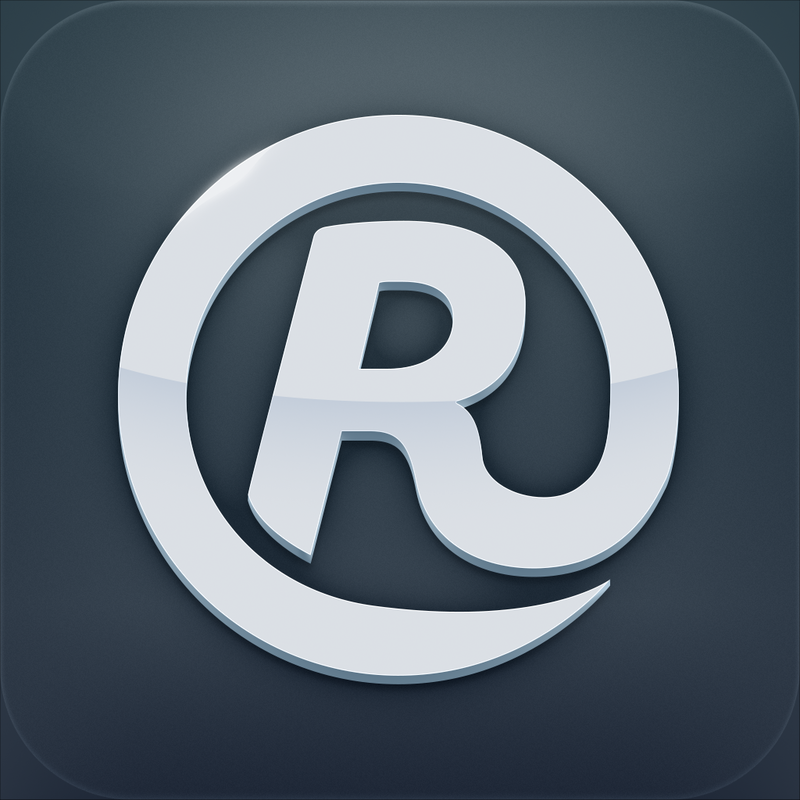 Riposte ($4.99 → Free, 10.6 MB): A full-featured App.net client built from scratch. The app's streamlined interface provides you with quick access to all of the necessary features while also allowing you to hide the toolbar to get a full-screen view of your feed. Swipe gestures allow you to view conversations and go right back to where you started in a snap. The app also includes support for multiple accounts, password management app integration, two themes, and Stream Marker support. Please keep in mind that you need an App.net account in order to utilize this app. Riposte is available for free for a limited time. It has a 5-star rating with a total of 17 ratings. 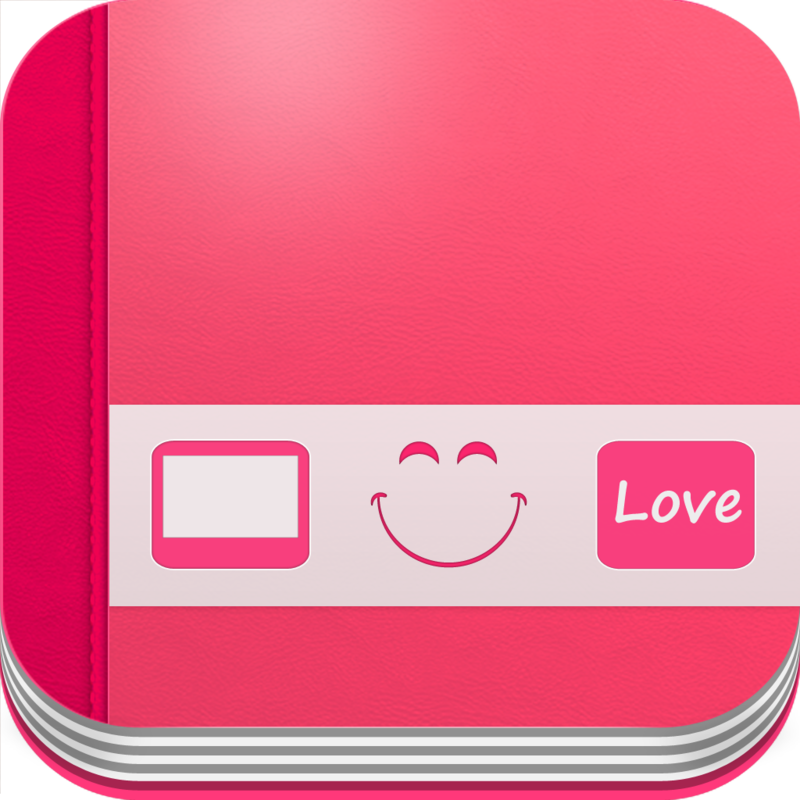 Weedo - An Amazing Note ($1.99 → Free, 27.3 MB): Store your favorite memories with this journaling app. The app's slick interface allows you to quickly and easily record your thoughts. You're able to choose from a variety of font types, sizes, and colors when adding an entry, and attach photos and weather icon. You can then view all of your entries in list or calendar form. The app also includes password or passcode protection. 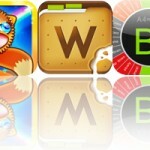 Weedo - An Amazing Note is available for free for a limited time. It has a 4-star rating with a total of 16 ratings. Repulse-O: A Match 3 Puzzle With a Block Falling and Magnetic Twist! ($0.99 → Free, 19.2 MB): A match-three game that will leave you spinning. Different colored bubbles will enter from the left and right sides of the screen. It's up to you to rotate the core and all of the bubbles attached to it to create matches of three or more. The more connected bubbles of the same color, the more points you'll earn from them. If bubbles stay outside of the game circle for too long, it's game over. The game includes two modes, 15 challenges, three environments, three control options, power-ups, and achievements and leaderboards via Game Center. 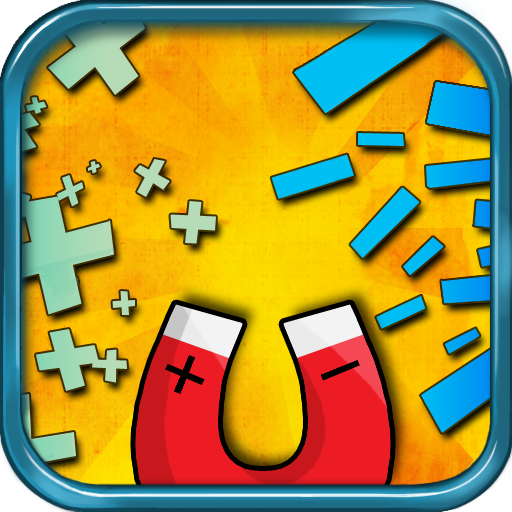 Repulse-O: A Match 3 Puzzle With a Block Falling and Magnetic Twist! is available for free for a limited time. It has a 3.5-star rating with a total of 39 ratings. PICKnSPELL for kids ($0.99 → Free, 95.1 MB): An educational app that will have your child guessing and spelling out creatures, characters, and objects. Your child will first be asked to guess the creature, character, or object being described. If guessed correctly, they will then be tasked with spelling it using the available letters. The letters will be sounded out as they are placed, and your child will get to hear the word pronounced when finished. PICKnSPELL for kids is available for free for a limited time. It has a 5-star rating with a total of 5 ratings. 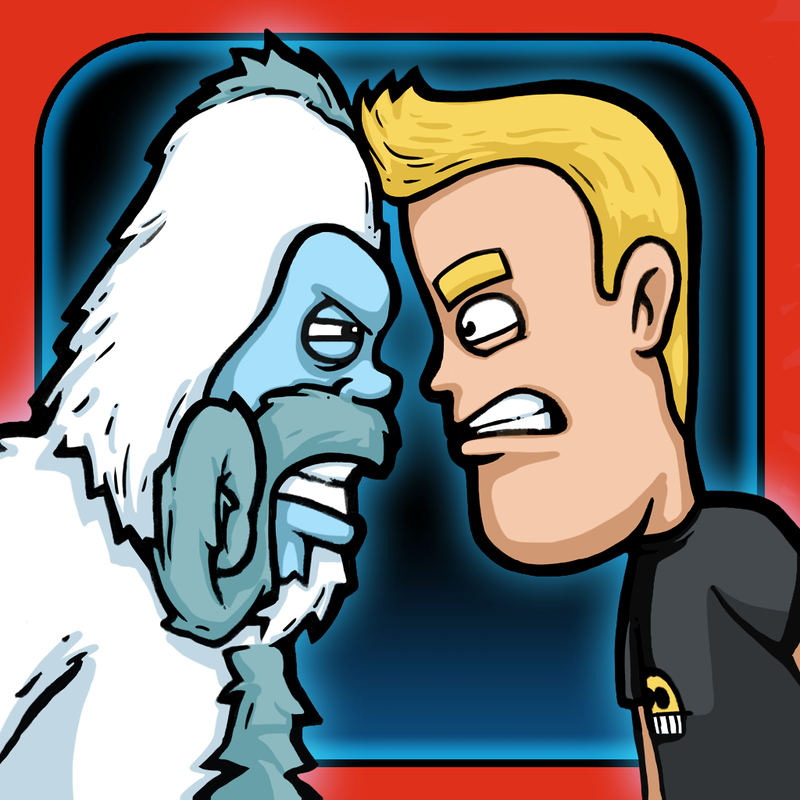 Burt Destruction ($0.99 → Free, 135.0 MB): A platformer that has you helping Burt Destruction and his buddy Bigfoot defeat the forces of Yeti. Burt runs along all on his own, so all you have to do is leap over obstacles and onto your enemies by tapping the screen. You can summon Burt's allies by tapping a button in the lower right corner of the screen, which allows them to swoop in and cause a little destruction of their own. Collect coins along the way to upgrade your character, purchase power-ups, and summon new allies. 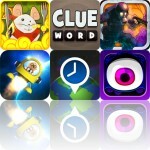 The game includes two worlds, all kinds of challenges to complete, and achievements via Game Center. Burt Destruction is available for free for a limited time. It has a 4.5-star rating with a total of 54 ratings. 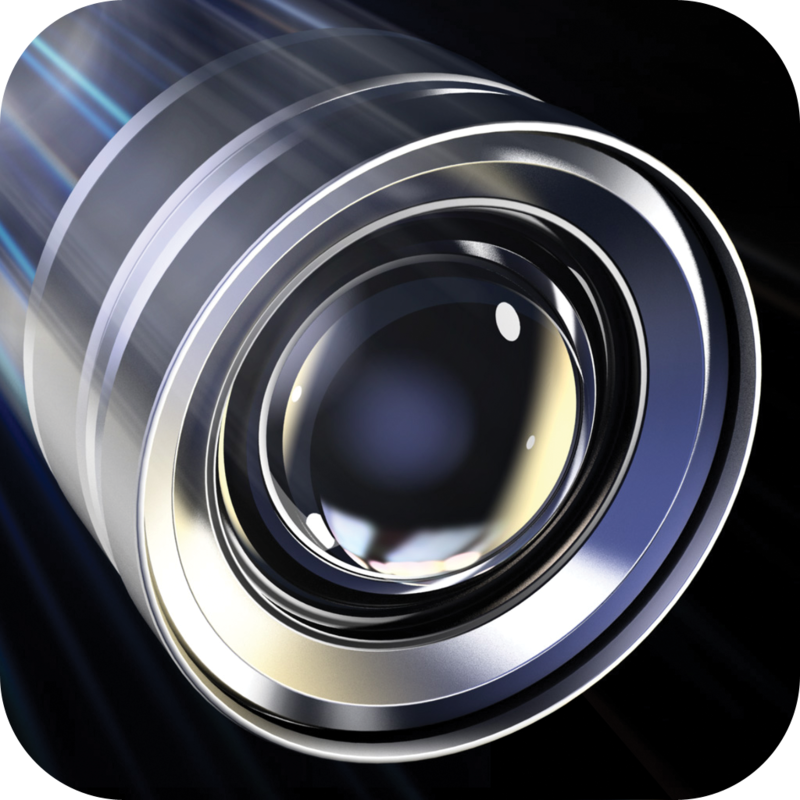 Fast Camera ($1.99 → Free, 6.8 MB): As its name indicates, this is one fast camera. The moment you launch Fast Camera it will begin snapping photos at a blistering pace (up to 800 per minute!). After you have stopped the camera, you can look through each shot and save only the ones you want in order to conserve space. You can also use Fast Camera as an everyday camera by disabling auto-on. The app includes eight time-interval options, front and back camera support, and the ability to manually control white balance, focus, and exposure by triple-tapping the screen. Fast Camera is available for free today only (02/19). It has a 4-star rating with a total of 1837 ratings. 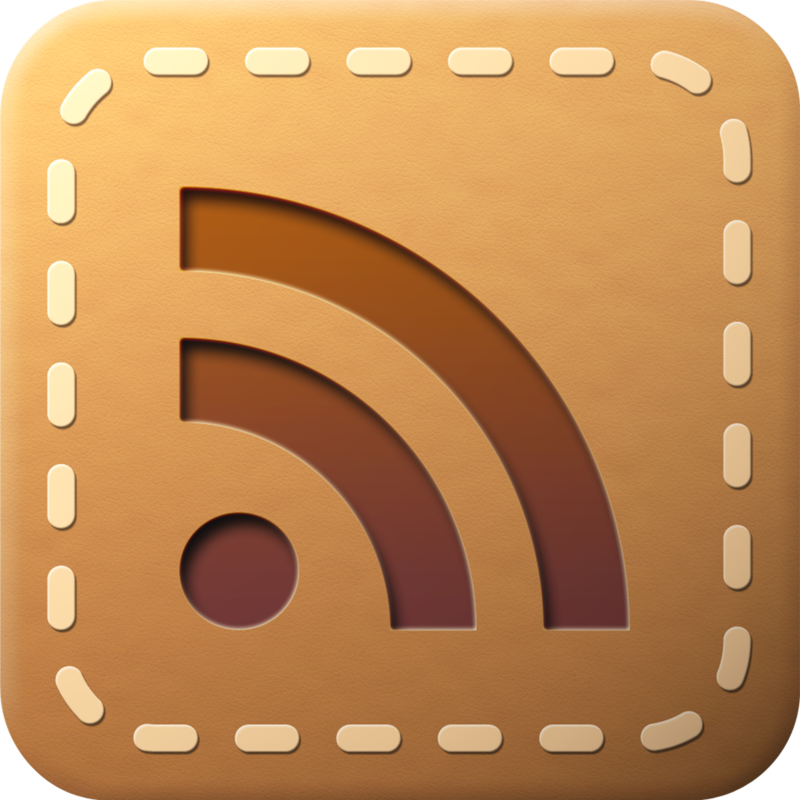 Mobi Reader HD ~ Google RSS Reader Client ($3.99 → Free, 7.4 MB): Keep up with the news with this RSS client. 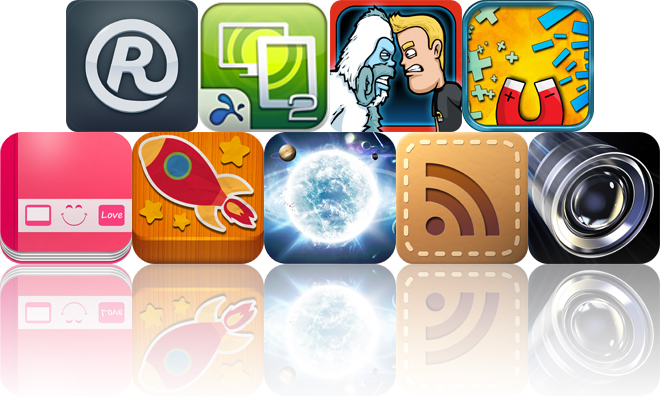 The app syncs with your Google Reader account, allowing you to browse browse, search, edit, and manage your feeds. You're also able to save articles for offline reading, sort them, and change their font and layout on the fly. The app includes multiple account support, gestures, reminders, and multiple sharing options. Mobi Reader HD ~ Google RSS Reader Client is available for free for a limited time. It has a 4.5-star rating with a total of 65 ratings. Splashtop 2 - Remote Desktop ($0.99 → Free, 31.6 MB): Access your Mac or PC remotely from your iPad with this business app. You must first install the free companion software on your home computer. Splashtop will then be able to automatically discover and connect as long as you're on the same Wi-Fi network. Once connected, you'll be able to access and view files on your computer, watch videos, play games, and listen to music remotely. 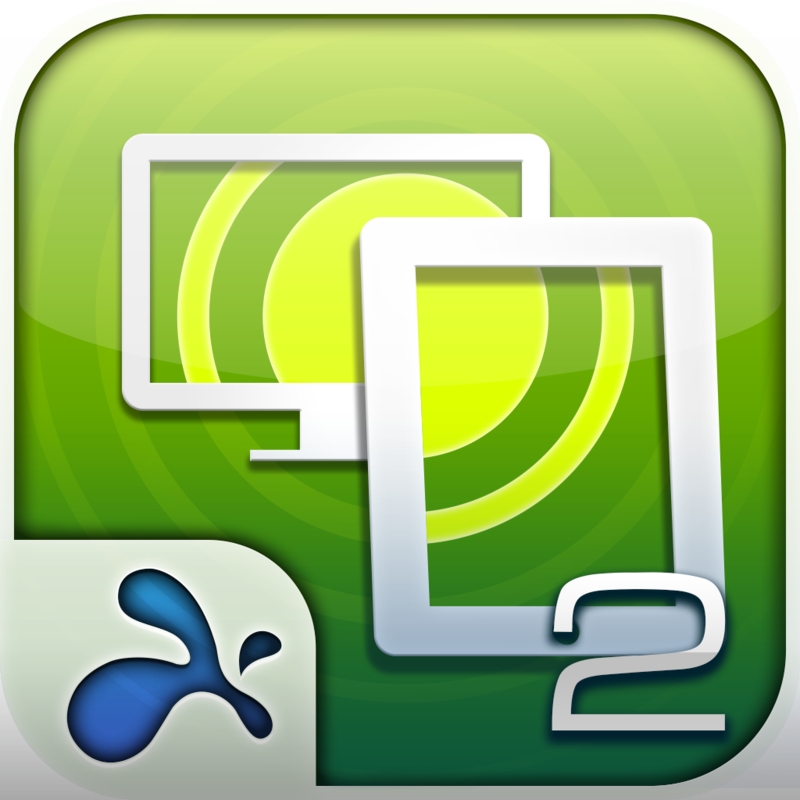 Splashtop 2 - Remote Desktop is available for free for a limited time. It has a 4.5-star rating with a total of 25345 ratings.